Posted on February 25, 2019 Author Ryan Forsythe	No Comments on 2019 T-shirt contest open! Hi friends. Here’s an FYI that our t-shirt contest is now open! PRIZE – The artist of the selected shirt design will win (1) their choice of item with the design (e.g. 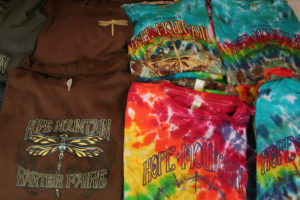 hoodie, short or long-sleeve shirt. 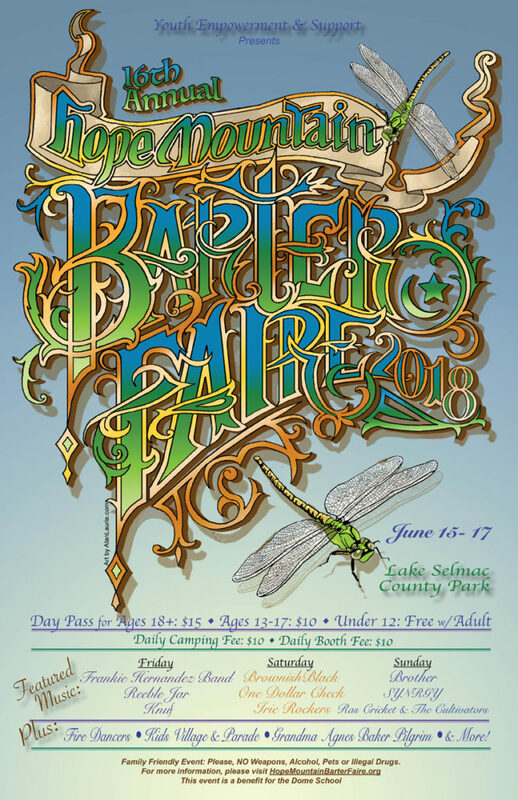 Value up to $55) and (2) two 3-day passes to the Barter Faire ($50 value each). Total prize value up to $155. DEADLINE – Entries must be received by 4pm on March 15. The Barter Faire board will judge. If available digitally, please submit via email to thedomeschool@gmail.com. * If submitted electronically, preferred file formats are JPG and PSD (PhotoShop) but we can work with many file types. Submit at minimum of 10” wide at 300 dpi (or 3000 pixels wide). * Also please note that while the design will appear on the 2019 t-shirts, we also plan to use the winning design for the 2019 poster as well. No additional award compensation (beyond that noted above) will be provided if the design is used for both t-shirt and poster. QUESTIONS? – Please don’t hesitate to ask any questions. Send to Ryan at thedomeschool (a) gmail.com or call 541-592-3911. 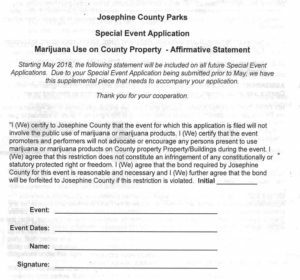 There’s been a lot of discussion on our facebook page about the county marijuana policy this year. 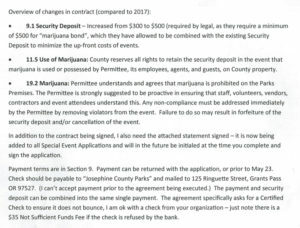 A lot of people sound like they may want to boycott the faire because of limits on use of cannabis. We’d like to share what is required of us, direct from the county (see images below). Please note if anyone can help us with a positive solution, such as helping us find an alternate site next year with less stringent regulations, of course we’d be happy to hear from about it. But it’s too late for this year–we’re going ahead with the event at Lake Selmac for the weekend of June 15-17, and so we must follow their regulations. 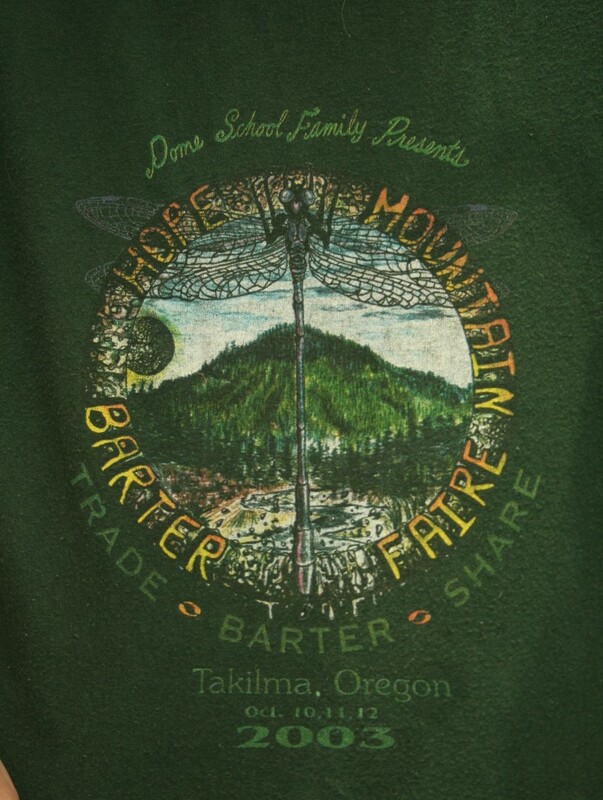 We really hope everyone will consider supporting our faire this year (which directly supports the students of the Dome School) by not bringing cannabis to the event. Once again, we’re holding a contest to find the design for this year’s t-shirts. 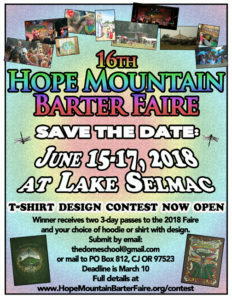 The artist of the winning design will receive 2 three-day passes to the Faire (value at least $50 each) as well as their choice of item with the design, such as a hoodie, short- or long-sleeve shirt, or tank top (value up to $55). DEADLINE – Entries must be received by 5pm on March 10. The Barter Faire board will judge. * If submitted electronically, preferred file formats are JPG and PSD (PhotoShop), but we can work with most file types. Submit at minimum of 10” wide at 300 dpi. We have a gallery of past designs that you may wish to peruse for inspiration: t-shirt designs and poster designs. Before coming to our faire, please familiarize yourself with Oregon law regarding cannabis/marijuana use in a public space. Q: What is the definition of a public place? DEADLINE – Entries must be received by 5pm on April 10. The Barter Faire board will judge. * If submitted electronically, preferred file formats are JPG and PSD, but we can work with most file types. Submit at minimum of 10” wide at 300 dpi. FOR INSPIRATION – View the many t-shirt designs and poster designs through the years.